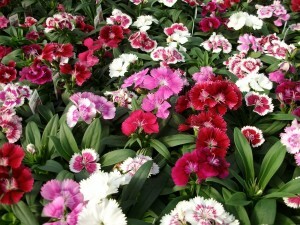 Dianthus comes in a variety of colors and sizes. The Floral Lace series is an exciting hybrid Dianthus that gives you another choice for planting right along side your Pansies in early spring. The blooms of this lacey flowered plant can get up to 1.5 inches across. They will bloom from early spring up into the fall but might take a break in the heat of summer. Dianthus chinensis, an abundant bloomer, was crossed with Dianthus barbatus, a cold hardy variety, to get the Floral Lace series. 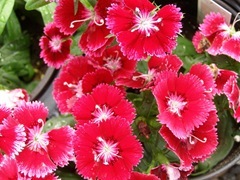 Dianthus in general are sometimes referred to as Pinks. Some say that they were so named because of some varieties’ pink color. Others believe it is because the frilly edges look as if they were cut with pinking shears (which cut fabric in a zig zag pattern to reduce the chance of fraying). 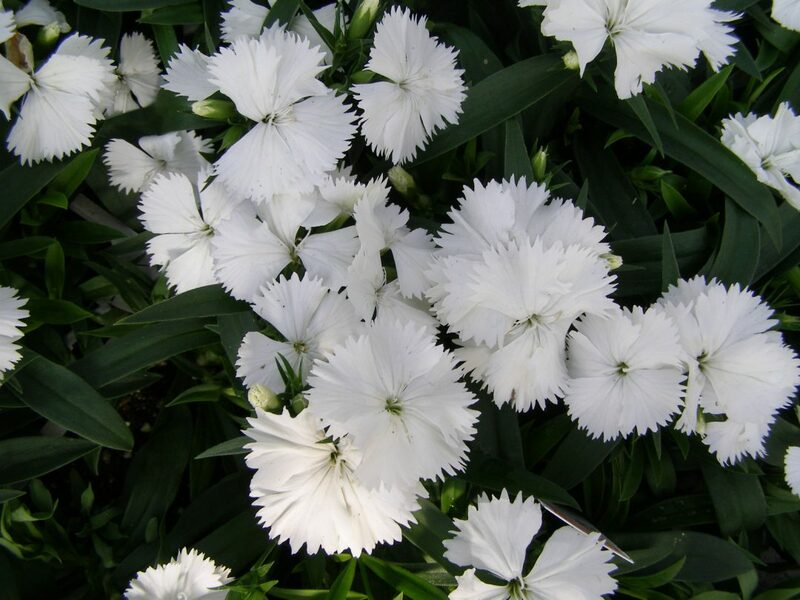 Dianthus likes well-drained soil that can still retain enough water to keep moist but not soggy. Deer tend to stay away from these clove scented flowers. 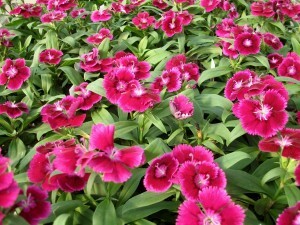 Outstanding Features: Dianthus is cold tolerant and will usually survive one winter and bloom again the next spring. 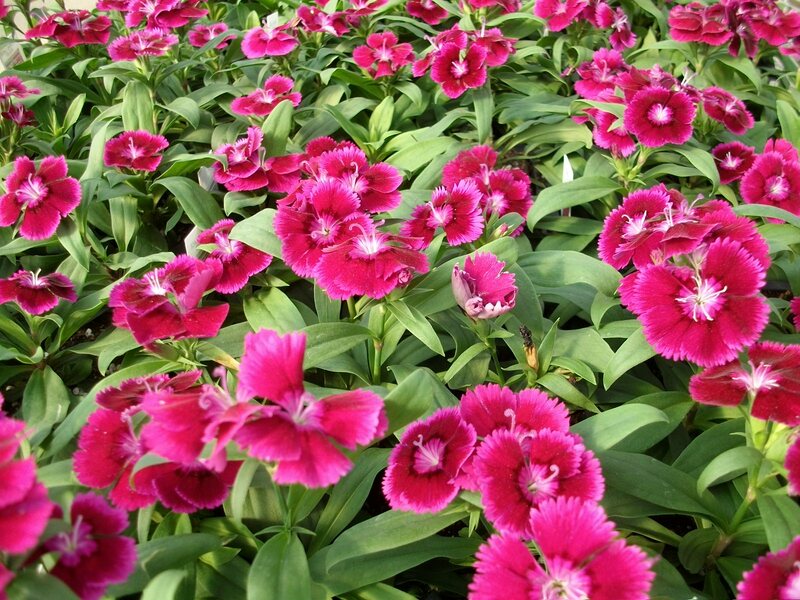 Tips: Dianthus’s compact form is perfect for borders in garden beds and landscapes.